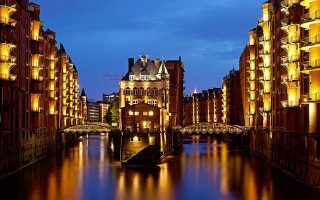 Located on the banks of the River Elbe, Hamburg is the second largest city in Germany, a major European port, and an important hub of international finance and economics. In addition, this UNESCO World Heritage site is a top destination for domestic and international tourism. The historic setting, extensive water system, large areas of parkland, and charming neighborhoods make running in Hamburg a delight. The city’s central Jungfernstieg boulevard connects the Neustadt (new town) with the Altstadt (old town). 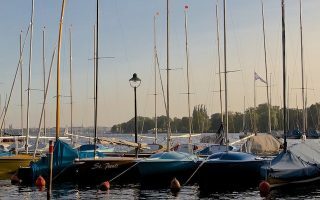 The best places to run in Hamburg are the extensive paths along Alster Lake and the Elbe and Alster Rivers. For green, enjoy running in the numerous public parks, such as Stadtpark and the Planten Un Blomen. 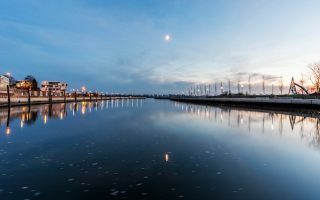 Runners will also delight in routes through Hamburg’s most scenic neighborhoods, including stately Altona, elegant Eppendorf, and quiet Klein Flottbek. We’ve also put together a great ‘runseeing’ tour of this historic city. Transportation in Hamburg is a cinch: not only is the city supremely walkable, the well organized and efficient public transportation system makes travel easy. Most of our routes are easily accessible via the S-Bahn train and U-Bahn subway system. Special thanks to Keith of JoggingRoutes.org for his help on this guide! 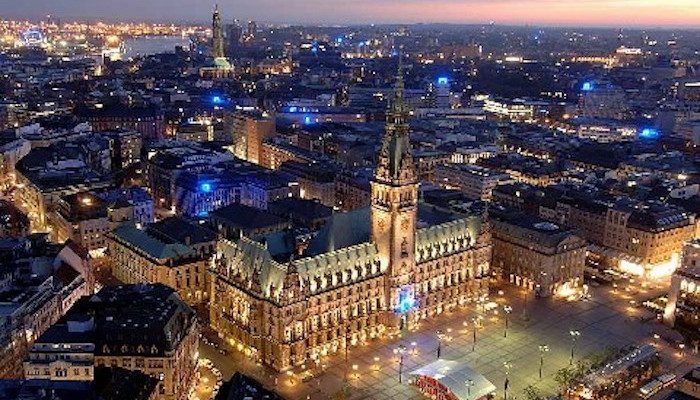 Get to know the sites and streets of Hamburg with this 7.6 km (4.7 mile) tour around the city center and harbor areas. The waterfront paths along the River Elbe are the highlights of running in Hamburg, with over 17 km of stretching from east to west. This 4.6 mile route circles the park-lined perimeter of Aussenalster lake, and is probably the most popular place for running in Hamburg. 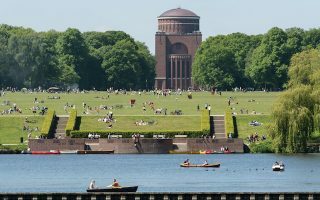 The Altona neighborhood, to the west of central Hamburg, is a gorgeous place to run for its stately architecture and lengthy paths along the Elbe River. 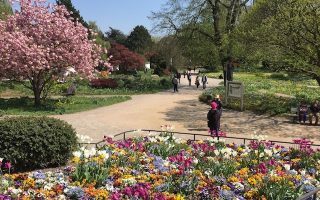 This massive garden of “plants and flowers” in the city center offers a 3.2 km (2 mile) loop around its perimeter, with options to extend the route on the paths of St. Pauli. 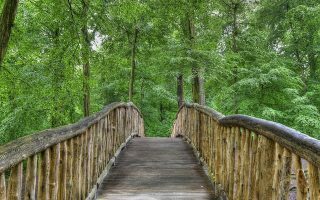 This large, beautiful park north of central Hamburg can be combined with a run in the ritzy Eppendorf neighborhood for more mileage. A somewhat hilly, uncrowded route, featuring gorgeous residential sections, and paths through parks and along the river. 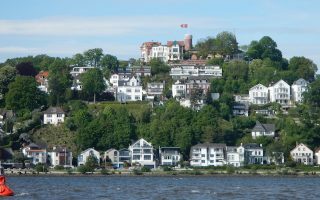 While there are miles of parks and riverside paths to choose from in Hamburg, perhaps the best waterside and park running in Hamburg is through the hilly Blankenese “stair district”, west of the city. As it’s located in the northern part of Germany, Hamburg’s climate is a little cooler. Average high temperatures in the mild but somewhat rainy June through September period are in the 23C (mid 70s) range, with cool-ish nights. Winter temps hover around freezing, with January high temperatures just above it and lows just below it. There can be some snow and ice in Hamburg. The climate can be cloudy and rainy, with half or more days in a year having some precipitation. The northern latitude means less daylight in winter, but deliciously long days in summer! There’s a large selection of hotels in central Hamburg, suiting nearly every taste and budget. For access to some of our favorite Hamburg running routes, we recommend within a km or two of the Elbe river paths, in Altstadt, or near one of the major parks. Anything east of Max-Brauer-Allee and west of the B4 Highway should put you close to decent running. 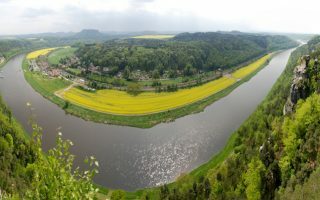 See Hamburg.com for tips on vacation and business lodging. In addition to chain retailers, Hamburg hosts running stores such as Running Green and Runners Point. See the map on our Hamburg home page for locations. There are also several “Lauf-Treffs” or running clubs. See hamburger-lauftreff.de for a list of runs by region. Running Green, a running store in Hamburg, has an excellent calendar of Hamburg running events and their own group runs. See Ahotu’s list of upcoming Hamburg races here.